Brinton & Christopher are one of those couples that make you fall in love with how in love they are. 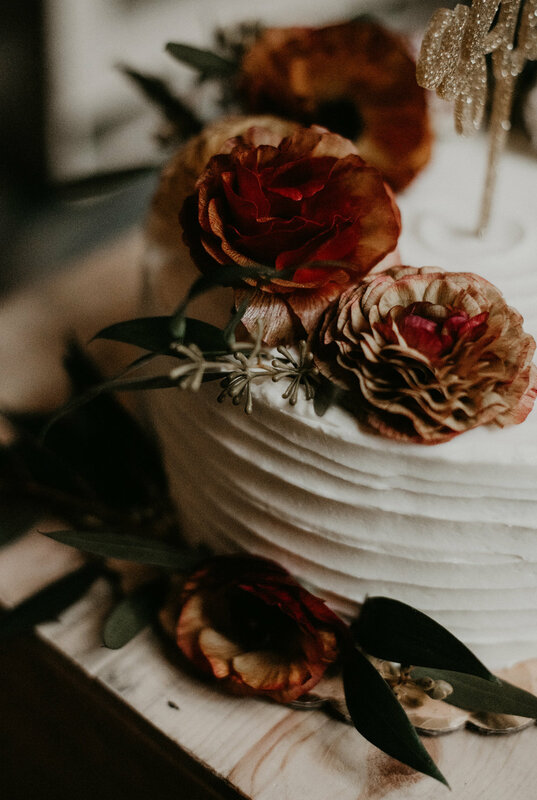 Having been together for almost 10 years by the time they tied the knot, their love is one that has withstood the test of time (and high school proms). Brinton's smile is one that lights up a room and has everyone smiling with her - needless to say, it was such a joy working with her on her wedding! 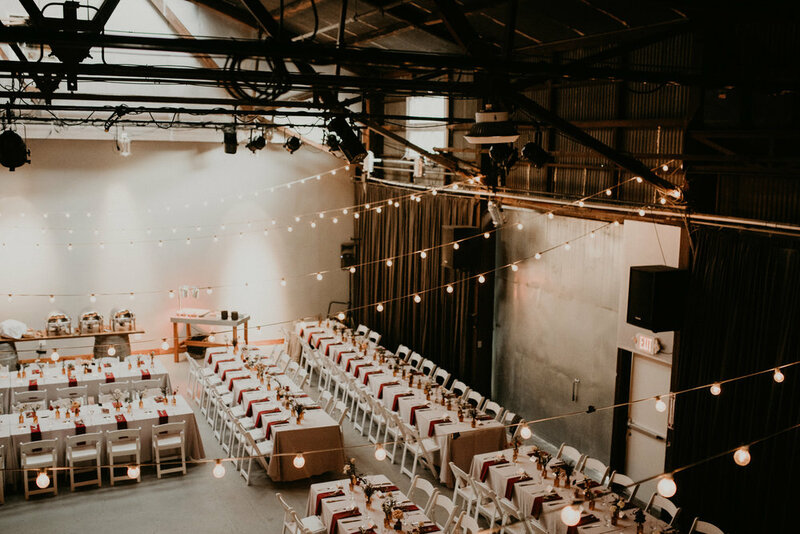 Brinton chose a palette of muted reds and mustard yellows, which complemented the moody vibe of The Winery SF perfectly. 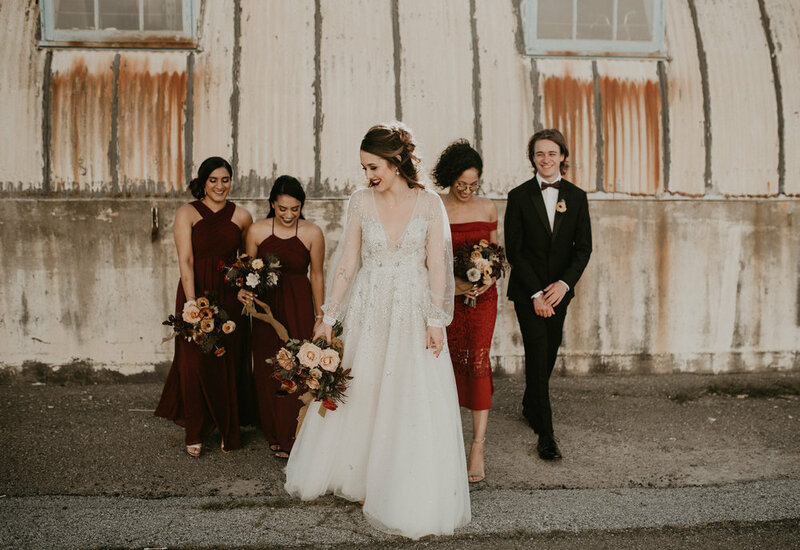 I love that Brinton chose to style herself in a non-traditional makeup look with a dark lip, which paired perfectly with her jeweled gown designed by Hayley Paige. 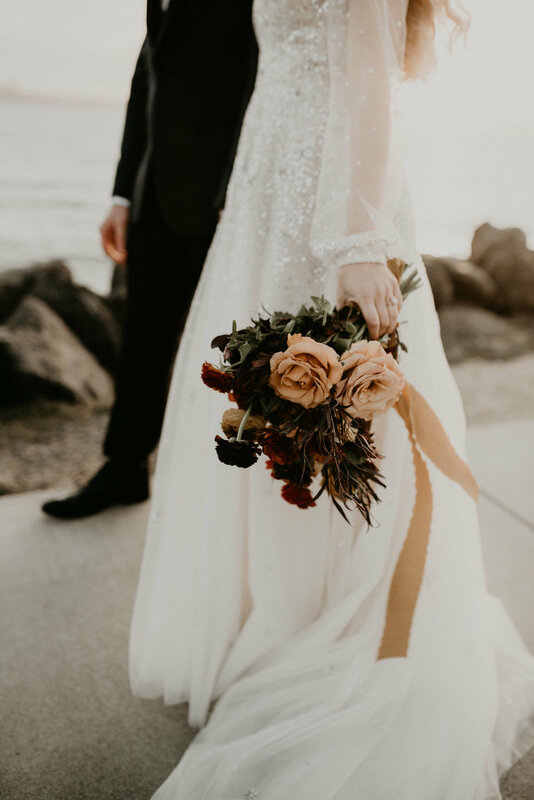 Brinton & Christopher exchanged their vows in view of the Bay Bridge, surrounded by friends and family, and partied throughout the evening which ended with a doughnut & coffee truck (a nod to Christopher's job as a police officer). Enjoy these photos from their celebration!